It happened around 7:30 p.m., when I was in the kitchen working on the computer. My husband Harry was with the girls, getting them ready for bed. Out of the blue I heard a loud boom!, and immediately I knew a large piece of furniture had fallen. Initially I wasn’t overly concerned, because the sound came from the spare bedroom, and no one was crying. But then I heard Harry – my laid-back, never-rattled spouse – start to panic. “Oh my God, Ella…oh my God, oh my God…Kari, come quick…” I kept thinking his dark tone would lighten up, but it didn’t. With my heart in my throat, I ran to bedroom, unable to shake the feeling that the unthinkable had happened to us. 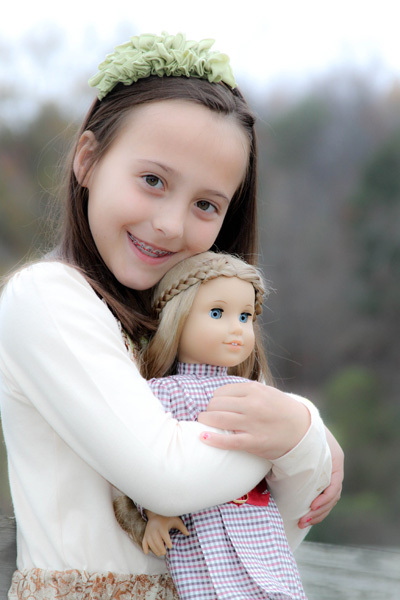 Ella had been trying to get her American Girl doll out of a pine hutch. 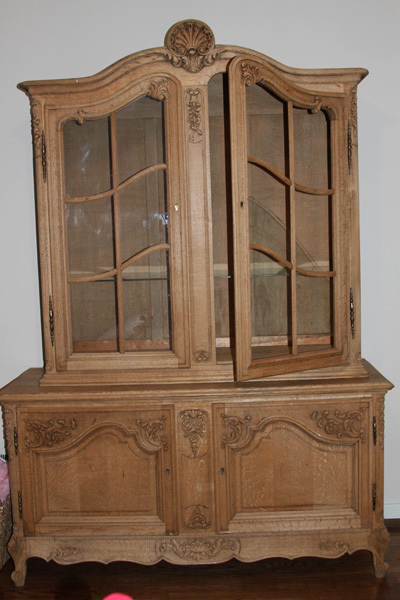 This hutch, made of two parts, has a top half with glass doors and shelves. Ella’s doll was in the far corner, behind a locked door, so she’d climbed on the base to reach inside. In stretching for the doll, she inadvertently pulled the top half of the hutch over. When Harry walked in the room, he saw the hutch over Ella on the ground, and her feet sticking out. By the time I got there he’d pulled the furniture off, but there were large pieces of broken glass around her. My eyes zoned in on the glass under her arm. I just knew that it’d punctured flesh, and I dreaded seeing the damage. Waiting for blood, and bracing for the worst, I raised Ella’s arm. To my amazement there was none. 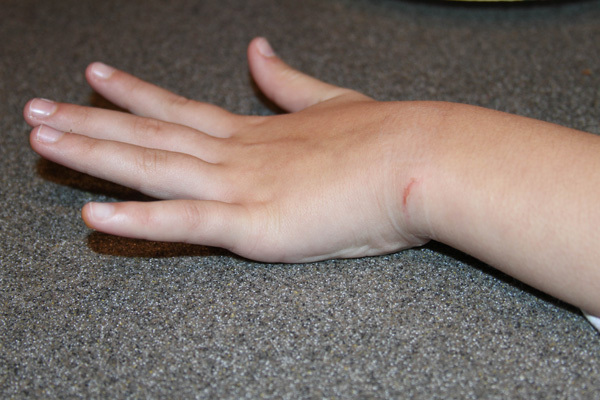 We searched Ella all over, but her only injury was a cut on the wrist. A beautiful, tiny scratch. It was barely enough to warrant a Band-Aid. For a long time after, we all hugged each other and repeatedly thanked God. When I said that Ella’s angels were looking out for her, five-year-old Marie Claire took her thumb out of her mouth and said, “Of course they were.” Harry and I looked at each through tears, humbled by the clarity of a child. All parents experience close calls from time to time, moments when we’re ready to bargain with God, trade in everything for our child to be okay. While part of me wants to sweep last night under the rug, erase it from memory because it’s painful to think about, I know that’s not right. I need this experience to stick with me, because the question I kept asking myself later on – “God, I owe you big. What can I do for you?” – is a question I should ask myself daily. It’s a question I should live by. I believe we all have guardian angels who protect us and have our backs. I believe they constantly thwart accidents we’re not even unaware of. Angels may not visible, but they are detectable, even to a five-year-old. I’m grateful beyond measure that Ella had a higher presence with her last night, watching over her in ways that Harry and I can’t, and reminding our family that God is mercifully, immensely, and unbelievably good.